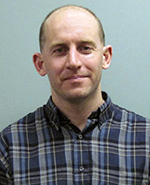 Congratulations to Dr. Ben Bond-Lamberty, terrestrial scientist working out of the Joint Global Climate Research Institute (JGCRI), who was appointed to a three-year term on the Editorial Advisory Board of Global Change Biology. As a board member, he will use his research expertise in climate change, carbon cycle, and ecosystem modeling to evaluate manuscripts submitted for publishing. JGCRI is a partnership between Pacific Northwest National Laboratory and the University of Maryland. Bond-Lamberty's research expertise covers carbon and nutrient cycling in terrestrial ecosystems, particularly high-latitude northern ecosystems, disturbance effects, climate change, and multiscale modeling. With more than 45 publications, he is a member of the American Geophysical Union, Ecological Society of America, and the American Association for the Advancement of Science. With an impact factor of 6.9, Global Change Biology is ranked 3rd in the list of most-cited journals in Climate Change Research. The journal focuses on current environmental change that affects a substantial part of the globe and biological systems.